Russia’s Sukhoi-30 fighter jet approached a US P-8A Poseidon reconnaissance plane over an international area of the Black Sea. November 25, 2017 - Russia’s Sukhoi-30 fighter jet approached a US reconnaissance plane over an international area of the Black Sea, the press-service of the Southern Federal district has said. "On November 25, Russian means of monitoring air space spotted an air target over an international area of the Black Sea that was approaching the state border at a high speed. 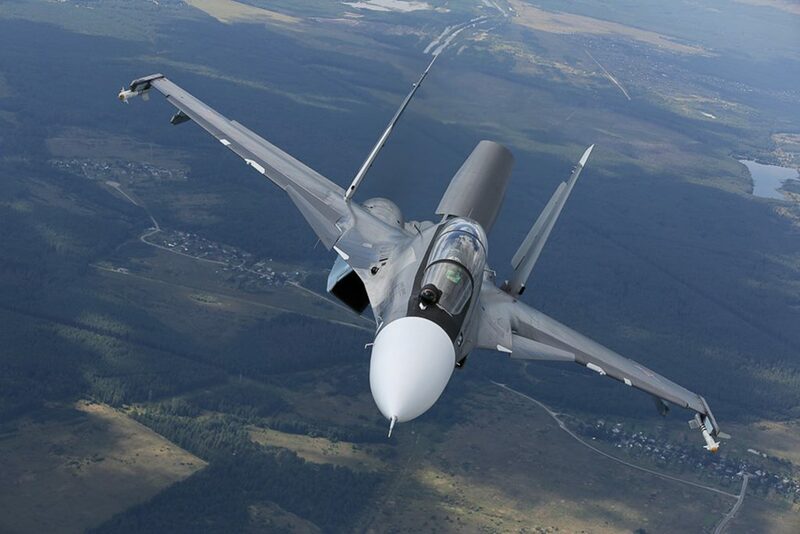 A Sukhoi-30 jet of the Southern Military District’s air defense was ordered into the air for interception. The Russian fighter approached the air target and identified it as a US reconnaissance plane P-8A Poseidon," the press-service said. "After being identified by a Russian fighter the US reconnaissance plane changed its route and set course away from Russia’s airspace," the Southern Military District said. "Upon completing its mission the Russian fighter safely returned to base." Earlier, the CNN television network quoted Pentagon spokeswoman Michelle Baldanza as saying the US plane remained in international airspace and did nothing that might provoke the Russian plane’s crew into "unsafe intercept." The Pentagon claimed the Sukhoi-30 crossed the P-8A Poseidon’s path at a close range, which caused the later to perform a sharp turn that caused "violent turbulence." This may have resulted in "serious harm and injuries to all air crews involved."